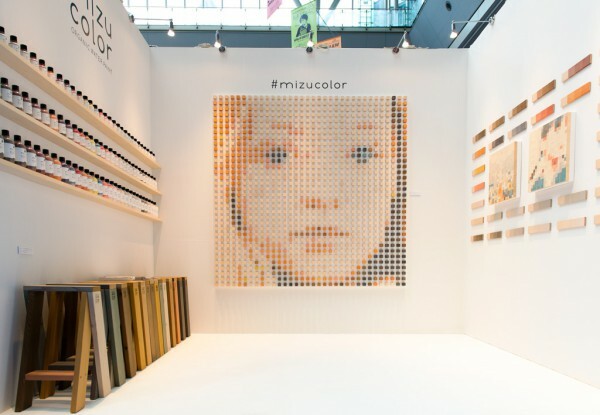 We designed the exhibition booth of paint manufacturer Washin Chemical Industry's brand of paint, mizucolor, for the Interior Lifestyle design fair held at Tokyo Big Sight. 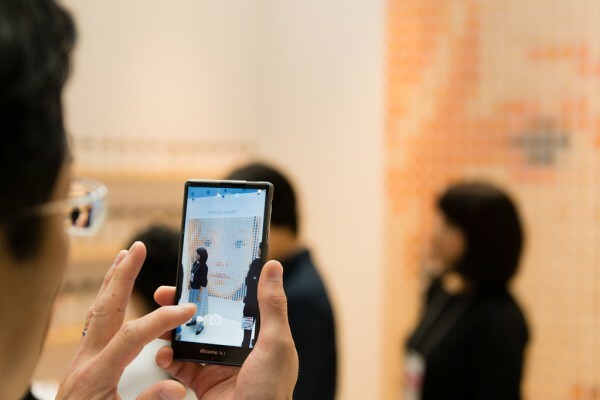 Deliverables included a booth presenting the brand's rich color palette and painted wooden objects to convey the ease of DIY projects. 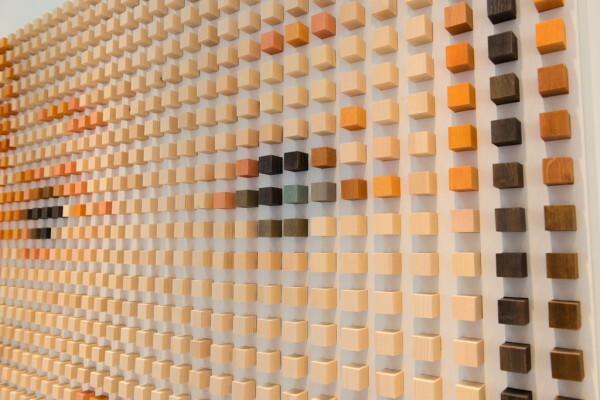 The central wall features a mosaic by artist Takeshi Abe made of 1156 wooden cubes showcasing the paint's ability to produce shade variations according to the number of coats applied. 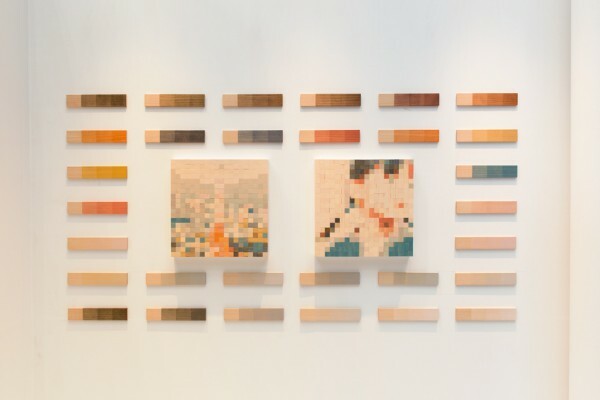 The left and right walls act as a book of color samples consisting of paint bottles of each color on one side and their corresponding samples on the opposite site. 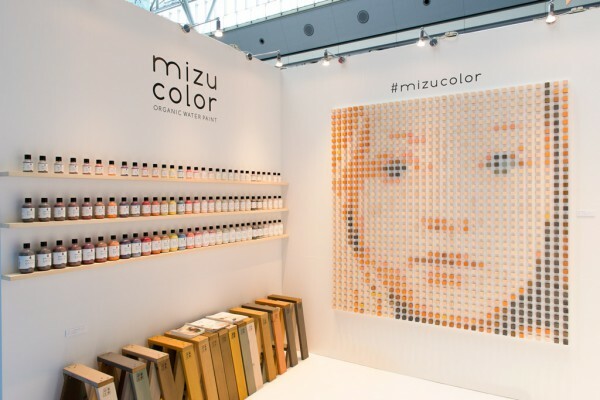 Colorful AA STOOLs serve both as display stands and as individual paint samples. 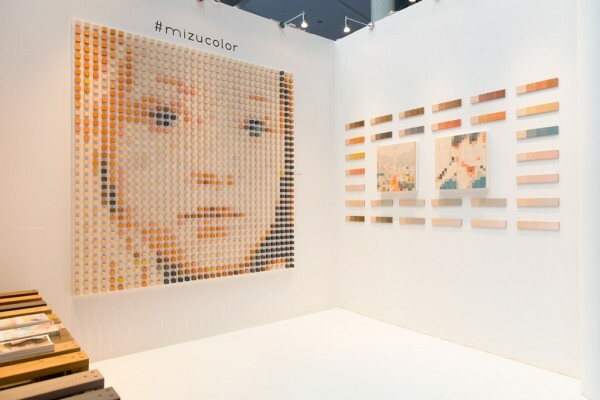 By utilizing the delicate hue gradations of mizucolor, we strived to create an exhibition space highlighting the possibilities afforded by the paint.